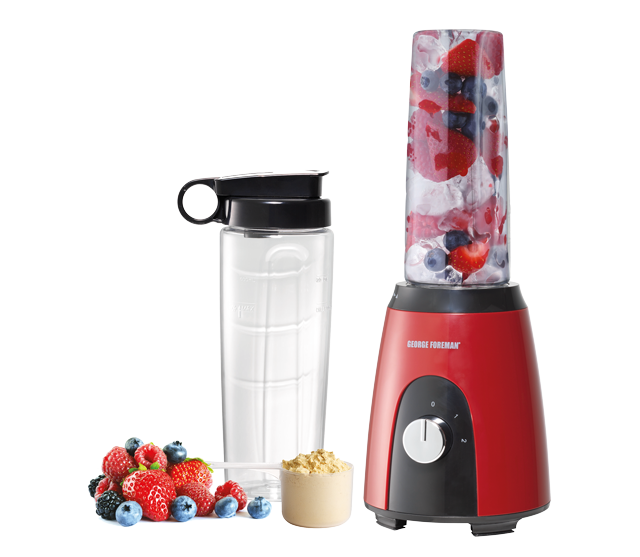 Mornings can be busy – so if you have to rush to work or dash to the gym and don't have time for breakfast, the George Foreman Mix & Go Optima is the ideal kitchen gadget for you. 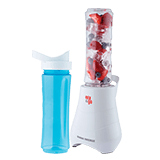 The Mix & Go Optima has two speeds: a lower speed for mixing protein shakes and meal replacement drinks and a higher speed dedicated to smoothies. 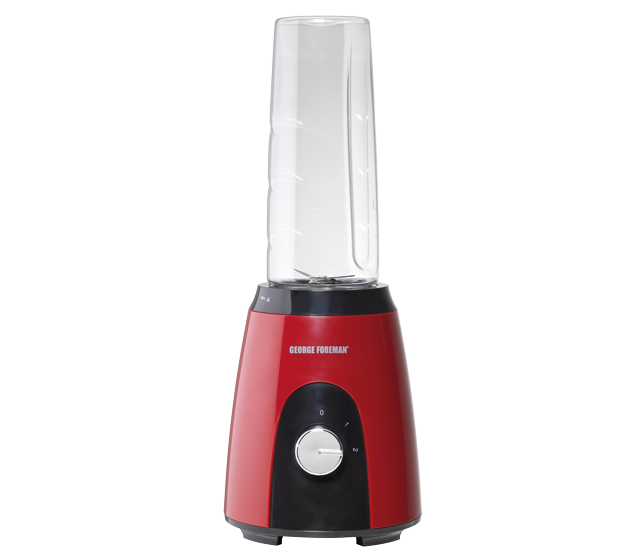 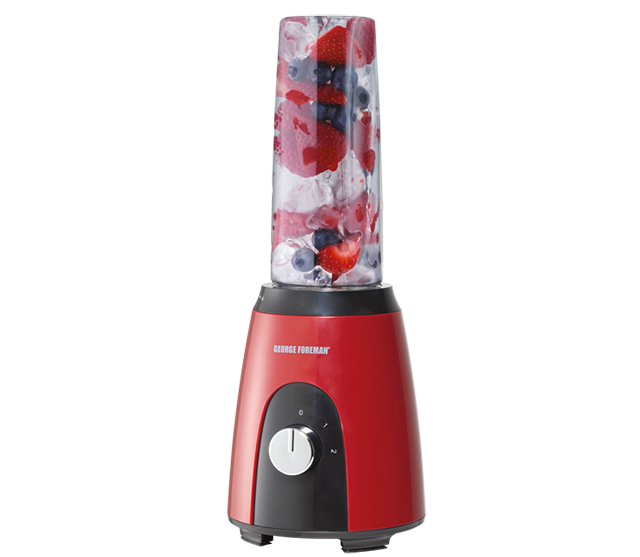 The powerful blade breaks down and mixes fruits, vegetables, ice, seeds and nuts so you can prepare tasty, nutritious smoothies and shakes to consume them on the go. 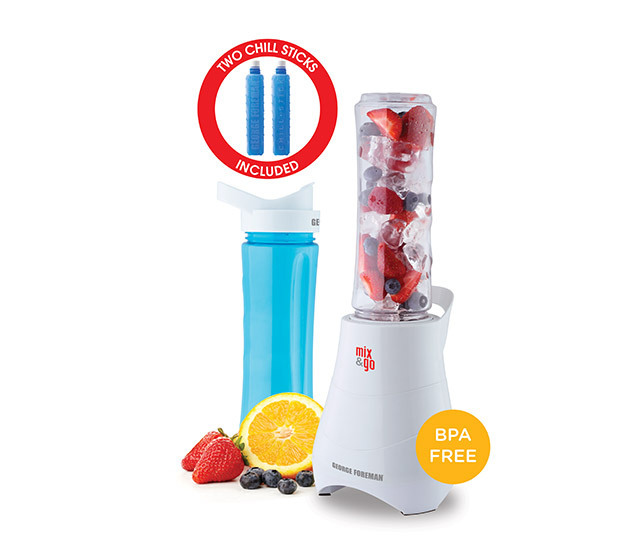 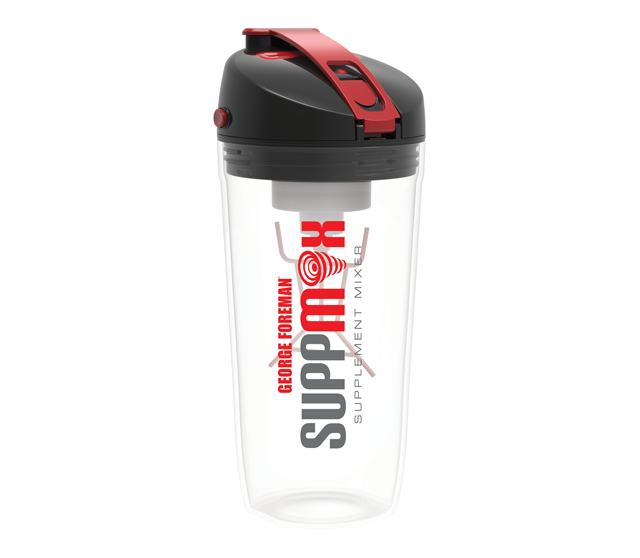 The two portable 600ml drinking bottles include chill sticks that keep your drink icy cold - so if you don't have time to drink it straight away it will still taste as fresh as the moment you mixed it. 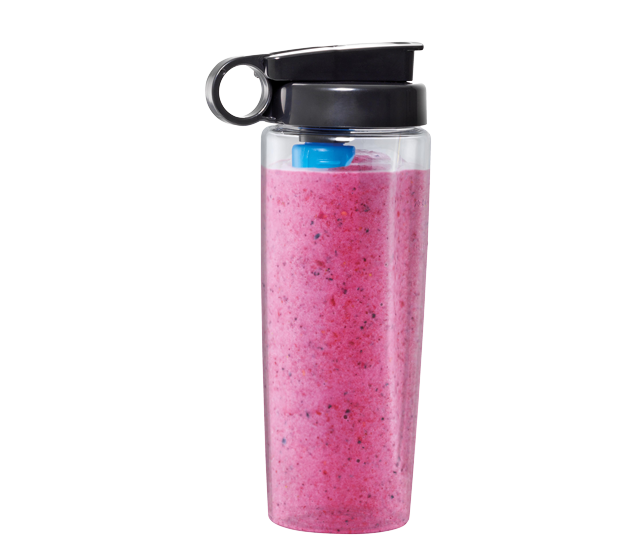 All you have to do is mix and go!